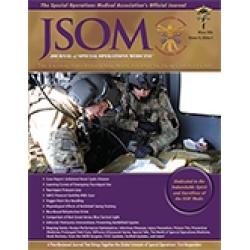 Background: Exertional heat illness continues to be prevalent among members of active duty personnel, especially those in specific military occupational specialties such as loadmasters, flight crew, flight maintainers, and Special Operations Forces. 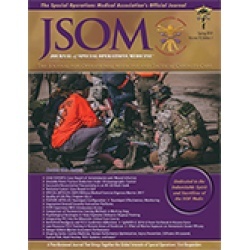 Therefore, the primary objective of this article was to elucidate the various oral rehydration solutions (ORSs) on the market that are used to mitigate exertional heat illness (EHI) in military personnel, and to focus on the science behind a ricebased electrolyte drink, CeraSport®, currently used by US military personnel in mitigating EHI during sustained training operations in high-heat environments. Methods: A search of the literature (through March 2016) was performed using PubMed and ProQuest, in addition to searching bibliographies and text books. We reviewed 63 articles and three texts. Articles were limited to those published in English and to studies that used only carbohydrates (e.g., no amino acids) and drinks reported to be used by the military in field training and deployment. Conclusion: Heat illness is prevalent among military personnel operating in high-heat environments and a variety of ORSs and sports drinks are available to help mitigate this. However, CeraSport, compared with other ORSs and sports drinks, may offer benefits such as faster gastric emptying rates and improved absorption from the gastrointestinal tract, which can provide rapidly available carbohydrate substrates for energy needs, and increased water retention for maintenance of blood plasma volume.